Engine 806 is a 1998 Pierce-Quantum Rescue Pumper. 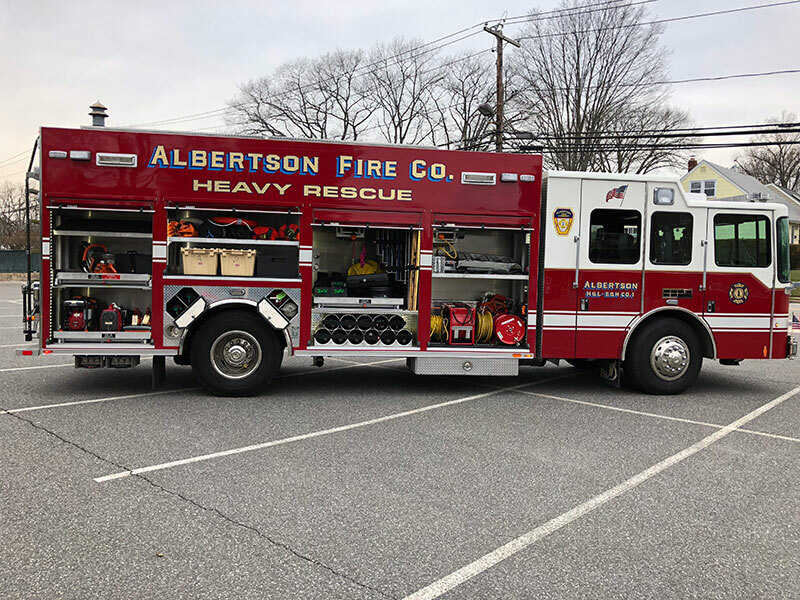 It is the workhorse of the fleet, responding first due to all Fires, Hazmat Incidents, and Rescue Situations. It also responds to all motor vehicle accidents. Engine 806 is equipped with a Holmatro hydraulic rescue tool system. Additionally, this unit is equiped with a full set of airbags for situations requiring lifting of heavy objects such as vehicles. Other equipment carried includes a thermal imaging camera, and a heartstart defibrillator. Engine 8010 is a 1988 Emergency One - Duplex pumper. It responds as the second due engine to all fires and other emergencies. It also responds as the mutual aid engine to neighboring departments when requested. It carries a large amount of 5 inch hose, which is used to supply large volumes of water greater distances. Ladder 809 is a 1991 Emergency One 110 foot aerial ladder which responds to all fire calls to perform the traditional "truck company" jobs of search and rescue, as well as ventilation and overhaul. Antique 808 is a 1955 Ward LaFrance engine, which has been retired from active service. This vehicle participates in many musters around the island, and has won numerous recognition in the class of original unrestored apparatus. Utility Suburban 8012 is used as a reserve vehicle when others are out for repair, in addition to transporting members to trainings, parades, funerals. A fleet of 3 2010 Chevy Tahoes are utilized by our Chiefs for rapid response to all alarms. 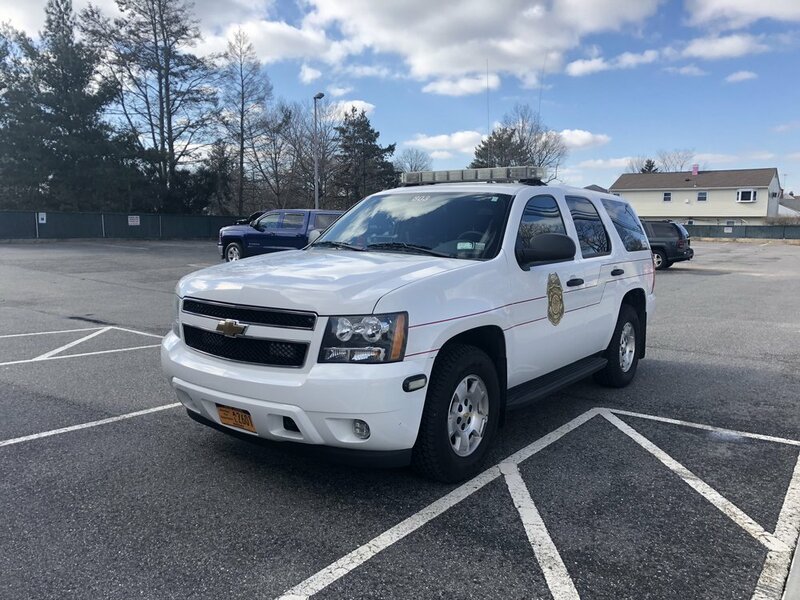 Each car is equipped with incident command boards for emergency operations, as well as a full set of medical gear, including Lifepak 500 defibrillators. Rescue 807 is a 2009 Ferrara Fire Apparatus custom heavy rescue. It responds second due to all building fires, motor vehicle accidents, and EMS calls. 807 carries spare breathing air bottles, high angle rescue equipment, cribbing, a stokes basket for transporting injured persons across rugged terrain, as well as medical equipment, and the equipment for the fire-police unit. Utility Pickup 8013 is used to transport equipment to and from emergency scenes, trainings, and events.